Scheduling platforms are great for organizing appointments. But unless your users block out time before or after appointments, they risk back-to-back meetings with no time to prepare or travel between locations. To solve this problem, we recently added support for buffers on our Availability API and Real-Time Scheduling. Buffers allow you to define a minimum gap in minutes before or after a busy period. This means your users have total control over how busy their schedules are. As a user’s calendar changes, our buffers will continue to ensure the required gaps are kept between any new events scheduled via Cronofy. No events are placed in a user’s calendar – they can enjoy a clutter-free schedule. Best of all, if you use buffers with Real-Time Scheduling, the slots available will use your customer’s real-time availability to ensure their buffers are always kept – even when other events are booked in. Assessment days can be a big part of hiring at-scale. 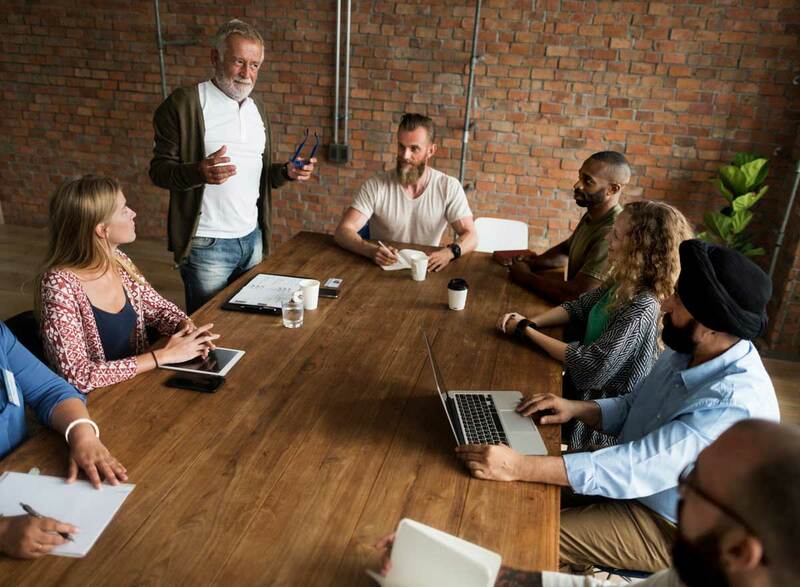 Buffers mean that the day can be set up so that there’s plenty of time between each session for rooms to be set up, candidates to walk from one location to another, or even just to grab some lunch. If your customers travel from location to location, buffers mean that there’s no risk of two appointments at opposite ends of a city being scheduled back-to-back. Buffers can be set up to give them plenty of time to travel from one client to the next. If you use our geolocation feature, your users could even set the location of the event in their calendar. Integration is simple – call our Availability API or Real-Time Scheduling with your required buffers and we’ll return results with the buffer already applied to any busy periods. No need to change any existing integrations with our API. You can define how long or short you want the buffer to be. You also have the option to set maximum buffer times. If sequential events have before and after buffers, these are collapsed into one, as shown in the diagram below. 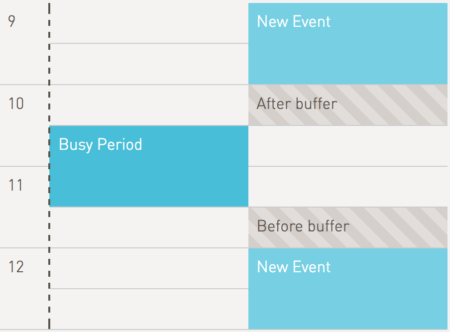 If the events are separated by a busy period both buffers will still be honored. We’ve also taken the time to add support to all our official SDK libraries so you can get started quickly. 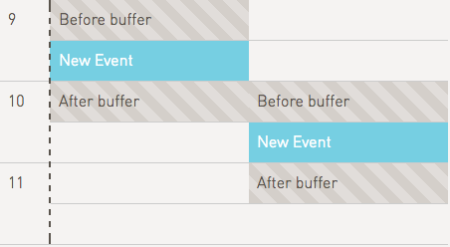 Buffer support for the Availability API and Real-Time Scheduling is available now. To find out more about what you can do with buffers, check out our API documentation and sign up for your free developer account to try it out.